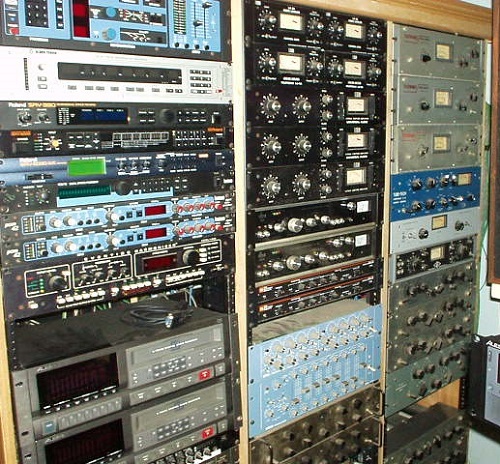 Joel Katz and his amazing collection of gear. The Wizards, with Joel on lead, came about in 1981 as a studio project. The Wizards single, 'Fifties Come Alive' had the distinction of being 'Pick Hit of the Week' in Billboard Magazine on December 19, 1981. It was in 1985, after the Wizards breakup, that a local group called Twilight was started and they released various 45s, one LP and two CDs. Joel was first tenor lead in the Joe Favale and the Emotions of 'Echo' fame. He also fills in at first tenor with Five Discs. Both groups travel the east coast with concerts to rave reviews. Joel Katz became an international star in 2001. He was invited to perform in front of over 2000 die hard Doo Wop fans in Hamburg, Germany. Recently, Joel started up a new group of superstars to form Joel Katz and the Dynamics. They have wowed every audience. And Joel has filled in for the late Johnny Maestro's Brooklyn Bridge. Now that you have knowledge of Joel Katz's musical background history, you can understand that he has a continuing passion for vocal group music. 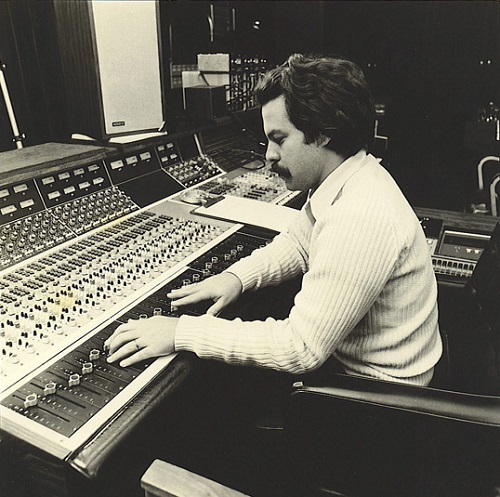 Joel Katz engineering at Radio City Music Hall/Plaza Sound Recording and Film Studios. Photo courtesy of Joel Katz. 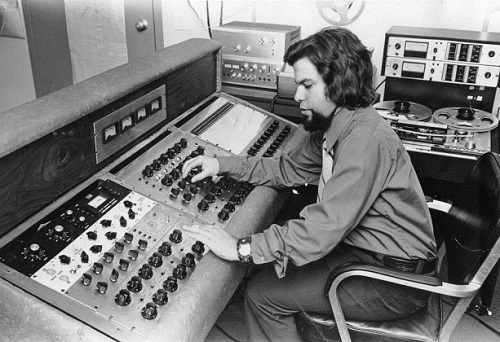 Joel engineering at Silver Burdett, Morristown NJ 1970. Photo courtesy of Joel Katz. 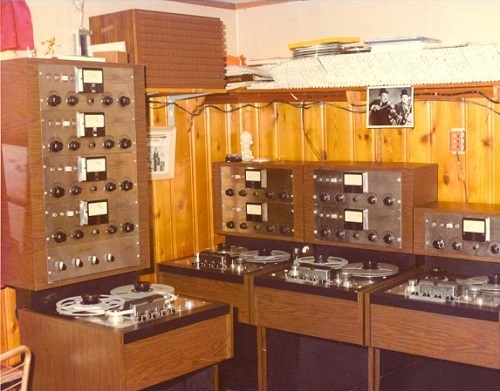 Joel's 1st studio - Parkway Recording Studio 1972. Amazing assortment of Ampex decks. Photo courtesy of Joel Katz. 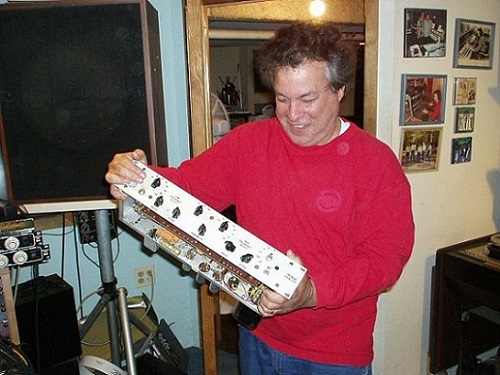 Joel Katz with his Pultec Prototype EQ! Photo courtesy of Larry DeVivo. 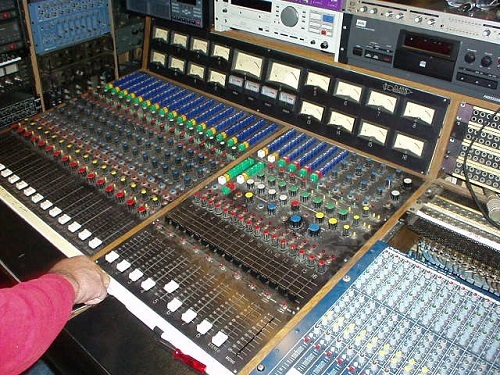 Joel Katz with his Gordon Clark, custom Console. This was the last console Gordon Clark built and said to be flat down to 5Hz. Photo courtesy of Larry Devivo and Joel Katz. Three of Joel's beautiful racks. Photo courtesy of Larry Devivo. 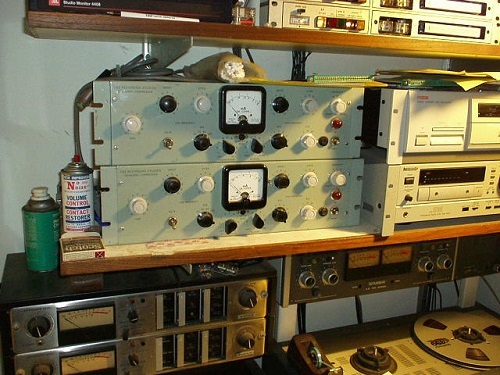 Joel's RCA Mastering Compressors! Photo courtesy of Larry Devivo. Do you have content or pictures, to add, of Joel Katz? Do you just want to say "Hello!"? Please feel free to Share it, here! What other Visitors have said about Joel Katz!